James C. Williams focuses his practice in the area of commercial litigation. He is a native of Harnett County, North Carolina where he grew up prior to attending the University of North Carolina at Wilmington. Prior to joining Daughtry, Woodard, Lawrence, & Starling, he was an associate at Williams Mullen in Wilmington, North Carolina, where his practice focused on construction defect litigation and insurance defense. 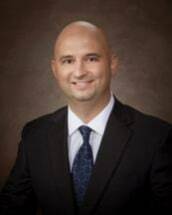 He joined Daughtry, Woodard, Lawrence, & Starling in 2010 and has maintained a diverse practice in Johnston County, representing landowners, contractors, lenders, suppliers and others. He also represents clients with routine traffic matters, criminal defense, personal injury actions, administrative matters, and drafting commercial contracts, lease agreements, and real estate transactions. Mr. Williams is admitted to practice in North Carolina and South Carolina. He is also admitted to practice in the U.S. District Court of North Carolina (Eastern, Middle and Western Districts) and is a member of the Johnston County Bar and the North Carolina Bar Association.